Living in Cape Town was a dream come true for me. Although I was only there for a year, it tops my list of favourite cities, easily. I’m not the only one. Last year, the New York Times named Cape Town the best place in the world to visit. It’s easy to see why. The beaches are idyllic and even the suburban areas are surrounded by great beauty, with the famous Table Mountain dominating the landscape of much of the city. The hot climate is perfect for a summer holiday, especially since it only rains in winter. There is a huge range of ethnic diversity, both local and international. And, of course, there are places open for touring and activities, that will keep you very busy. If you’re coming from the Northern Hemisphere, remember that Cape Town’s seasons are opposite to yours! Cape Town in summer is hot, perfect for beach and outdoor activities. The sky is always clear, it rarely rains, and the regular South-Easterly wind cools it down just enough. Autumn/Fall has its own charms. It remains relatively warm, and the vineyards turn into vibrant displays of bright reds, yellows, oranges, browns. The countryside slopes turn into a splendid gold and scarlet. It’s a perfect time to go if you like a softer sun. In winter, it gets mild. It rains relatively often. When living there, it is a nice change from the long, hot, summer days. And for the tourist who doesn’t mind cooler temperatures, there are many attractions – the perfect time for shark cage diving and whale watching. Also, everything becomes very green. Spring brings flowers back into bloom, and temperatures start rising. It remains mild, but a more than manageable mild. If you want to avoid the scorching summer sun, spring is prime time. Having lived there for a year, there are tons of secret and not so secret spots I would recommend to every individual. But if you’re in Cape Town for a holiday, and you need to ration your time, be sure to visit for at least a week, which will give you enough time to visit the following 10 sites. These are all essentials, but none of them require a lot of planning or time – the first 6 are the absolute musts, and can be done in 3 days! They’re also light on the baggage, and so you can plan your holiday accordingly, without too much bother. Let’s begin with the number 1 tourist attraction. One of the “New 7 Wonders Of The World”, Table Mountain is the pride and joy of every Capetonian. It is majestic, glorious, sublime, and accessible to everyone, not only mountain climbers. Those who love hiking can walk up the mountain, which can be done in 2 hours at a leisurely pace. But if that’s not your type of holiday, or if you don’t have the time, funiculars (cable cars) will take you up in minutes. Once you’re up there, you can look over the whole of Cape Town, taking in the beauty all around. It’s a great place for a picnic – it is a table, after all – and the sunset is spectacular up there. Try being there for the sunset, but don’t leave it too late. The last funicular down leaves at 6pm in winter, and 9pm in peak season, which is not all that long after dark. Light hiking boots (men, women), a hat and sunscreen for face and body, a pair of sunglasses, and water and snacks. There’s not much else you’ll need to take along, other than a camera with tripod and/or smartphone with monopod. Food and drink can be bought at the top. The 2nd major reason tourists come to Cape Town, is the beaches, and Clifton Beach is a must. The Discovery Channel rated Clifton Beach as one of the top 10 beaches in the world, with its white granite sand and crystal clear water. It’s protected by Lion’s Head from the south-easterly wind which can make other beaches nearby uncomfortable. Clifton is split up into 4 beaches, separated by granite boulders. If you’re looking for a good surf, go to 1st beach. None of Clifton’s beaches have particularly strong waves, but on one of the many windy days, it’s a perfect place for beginners. If you’re an advanced surfer, there are many other prime locations. Families usually gravitate to 4th beach, the calmest and most popular spot. Don’t go there planning to have a leisurely swim. The water temperatures in summer sit at around 10C (50F)! It’s actually warmer in there in winter, due to some trickery done by the wind. Sunglasses, swimwear and travel towel, hat, tank top (or no top), sunscreen for face and body, flip flops (women, men), food and drink (non-alcoholic), or buy from kiosks. There are no restaurants. The V&A Waterfront in Sea Point is a hotspot for both tourists and locals, and the 3rd important destination to pack into your trip. Centred around a harbour, the location provides more than just scenic beauty. A range of restaurants gives the food lover the chance to try Cape cuisine in fast food outlets, sprawling sea-food places, and small boutique eateries. The main attraction is the culture. There is a wealth of South African tradition on display – there are often shows put on at the centre stage, but dancers and musicians are not confined to one space. It’s a perfect location for adults and families to spend a day, or an evening, as there is plenty to see and do. It closes at 9PM – if you’re looking for a late night out, there are many places nearby to party. Ice cream is on sale at most locations in Sea Point – I always have a cone on hand! if you need time to relax and watch a movie, you’ll find cinemas there. Only your wallet. Everything you need, you’ll get there. Lion’s Head is the less famous, younger brother of Table Mountain, but its perfect hiking conditions – for casual hikers and tourists – make it extremely popular. It should take no more than an hour to climb, with only one tricky climb to travail. Along the way, you get sublime views of Cape Town, and Table Mountain itself. The peak is less awe-inspiring than the famous “table”, but it’s less commercialised and crowded, which makes it easier to spend some quality time meditating over what nature can create. It’s also very accessible to runners. I used to run up Lion’s Head once a week – and I don’t even like running! I recommend the casual hiker to hike up Lion’s Head and take the cable car up Table Mountain – all in an afternoon. You’ll get to see both views, while still having an invigorating trek. Light hiking boots (men, women), hat and sunscreen for face and body. Bring enough snacks and water to last you there and back, as your money is useless at the top. Boulders Beach is the most famous location in Simon’s Town. Technically a nature reserve, it brings you closer to penguins than you ever thought you’d get. There are no cages keeping them there, but no matter where you walk, you’ll find the waddling creatures. While penguins can be dangerous, they won’t harm you unless you provoke them. So don’t go putting your fingers in their mouths if you want to keep them (the fingers, that is)! It’s a popular swimming location as well. 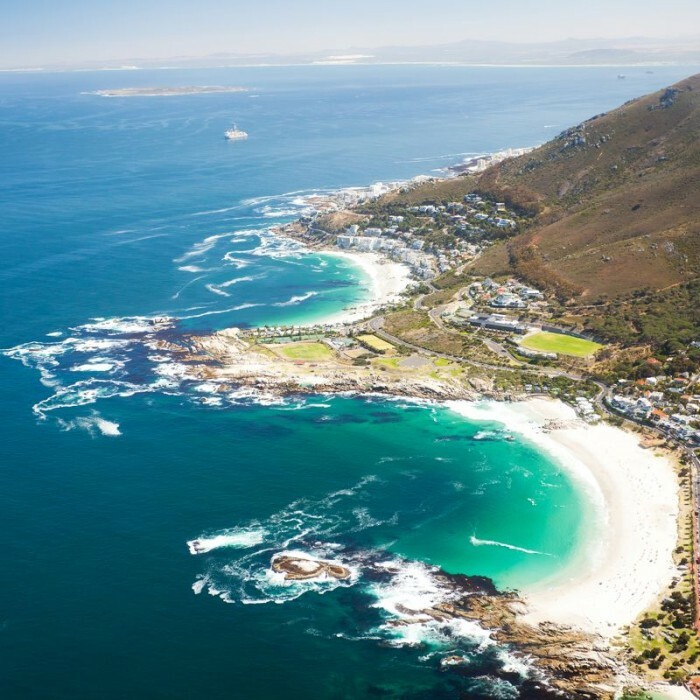 Unlike the Sea Point area which is on the Atlantic, Simon’s Town is on the Indian Ocean and the water is warm in summer. Parking is very limited, so get there early if you’re driving take the train to Simon’s Town if you haven’t rented a car. It’s about an hour from the city centre, and once there a short cab drive or walk to Boulders alternatively, take a red city bus, which is costlier but allows you to hop on and off from any location along the way bring cash – there is a small fee to get in, as it is a protected nature reserve. Sunglasses, beach swimwear and travel towel, hat, tank top (or no top), sunscreen for face and body, flip flops (women, men). Boulders is the most famous, but definitely not the only attraction in Simon’s Town. If you’re looking for a beach that’s not a nature reserve, Seaforth is your place. Personally, it’s my favourite beach, with its white sands and near-still, crystal clear, warm water. There are no waves, making it perfect for a swim. There is even a small island that you can swim to, and jump off the rocks if you’re brave enough. The town itself is very eclectic. On the main street, you’ll find a range of cultural restaurants and stores. Souvenirs are cheap, so expect to come back with local crafts… and penguin keyrings. Simon’s Town is much quieter than the other tourist destinations. Although “the mountain” isn’t looming overhead, its own beauty more than makes up for it, and you’ll get to relax away from the major crowd of holiday makers. If you can, spend a few nights in the town while you experience every facet of it at your own pace. But book early, because accommodation is scarce. Ensure you have beach clothes as well as clothes for walking around town. You don’t need anything specialised, but if you’re not comfortable walking in flip-flops for long stretches, bring another pair of light hiking boots (men, women). The most popular, non-beachside destination, Kirstenbosch Gardens is a sprawling area of green beauty. A great place to have a picnic with the kids, as there is plenty of space to run around. Shade is precious, so be sure to come prepared for some quality sun time. During the summer, Kirstenbosch features regular concerts on Sunday afternoons. Music lovers of all kinds are catered for, with concerts alternating between symphony orchestras, local pop stars, and cultural icons. The Biodiversity Institute (SANBI) posts dates of concerts when they become available. They also list all other events or exhibitions happening at Kirstenbosch throughout the year. If a concert is going to be on when you’re there, book in advance. Go even if you’re not into music – the atmosphere is vibrant, and will only enhance your picnic. It’s close to the city center and Sea Point, so you can make it there after a hike up one of the mountains, or a morning on the beach. Picnic blanket, picnic basket, food and drinks. Although not one of the defining attractions of Cape Town, the Science Centre (CTSC) is a great place to spend some time away from the sun, and cultivate yours and your children’s intellectual side. With over 250 interactive exhibits, CTSC is an educational journey for adults and children. There are both fun and informative displays. You can turn yourself into a disembodied head, and enter an inflatable planetarium. I went there a couple of times, once with a group of kids, and no one was bored. They feature regular excursions and hands-on experiments. Most of the time, you’ll be trying to figure out how the heck any of the exhibits work! They’re truly mind-boggling. The CTSC aims to excite people about science, so don’t let the idea of a science centre put you off if it’s “not your thing”. They do a great job at finding fun ways of discovering how the world works, that even the science-phobic can enjoy. Set aside a few hours for this outing. It’s not an in-and-out type of place. There is a lot to explore and discover. A fantastic outing for adults and kids, found in both Simon’s Town and at the V&A Waterfront. South Africa is the gem capital of the world, and Scratch Patch gives you the chance to scratch around in a type of “sandpit” of them. You pay for a container size and fill it with the ones you like best, which you take home with you. Kids really enjoy Scratch Patch, and it’s an easy outing to take them on. You won’t be in the sun, and you won’t be running around either. Stellenbosch is actually located 50km East of Cape Town, which is the only reason it’s last on the list. It will be a day-trip at least, but it’s well worth it. It is home to renowned winelands, as its conditions are ideal. It is also famous for its strawberries. Strawberry farms open up to the public for picking. Choose a container and stuff it with the biggest, reddest, juiciest strawberries you can find. They’re far better than what you find in stores. The perfect time to visit is Autumn, when the colours are most vibrant, and the winelands are at their peak. Take a slow drive there if you can. The scenery along the way never loses its charm. Stop to take it in every once in awhile. It will cost you to get there if you’re not driving, and many of the restaurants and hotels are pricey.